Nivairo is a non-invasive ventilation (NIV) BiPAP mask designed for comfort and ease of use with simplified feed tube sealing. 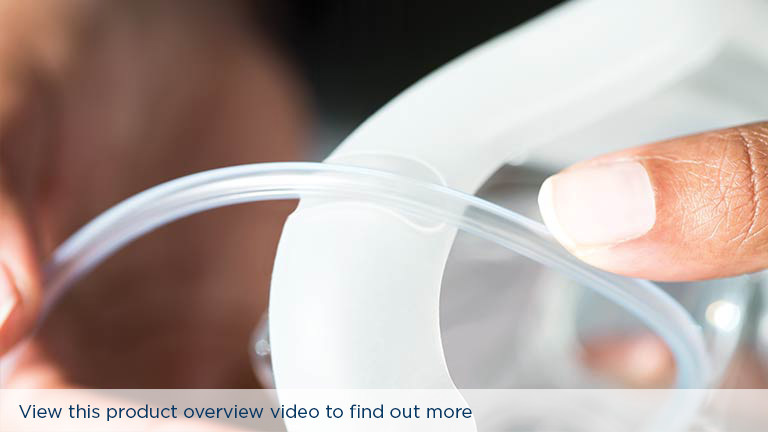 The combination of RollFit™, TubeFit™ and ErgoFit™ features are aimed at minimizing nasal bridge pressure and seal leaks, resulting in improved overall performance and more effective delivery of NIV therapy. In the case of hospital NIV masks, a better fit means a more compliant patient. 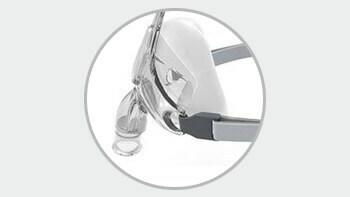 A soft silicone RollFit seal automatically adjusts to adapt to the different face shapes of individual patients, and breathable ErgoFit headgear easily adjusts to fit as well. The innovative seal design with RollFit helps minimize pressure on the nasal bridge while TubeFit zones on either side of the mask minimize leak around nasogastric/orogastric (NG/OG) tubes. 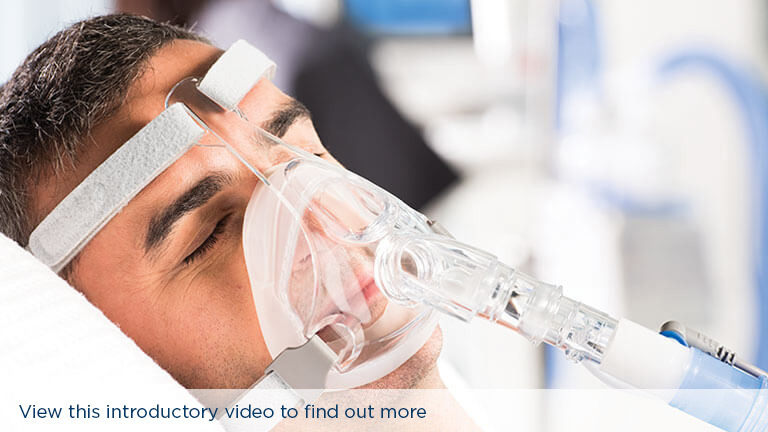 Overall seal performance is enhanced, enabling a more effective delivery of NIV therapy. ErgoFit headgear is designed to be easy to fit, adjust and remove. 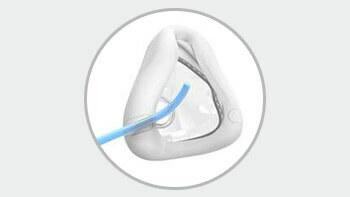 TubeFit zones simplify the fitting process and reduce the need for additional sealing pads for patients with NG feed tubes. 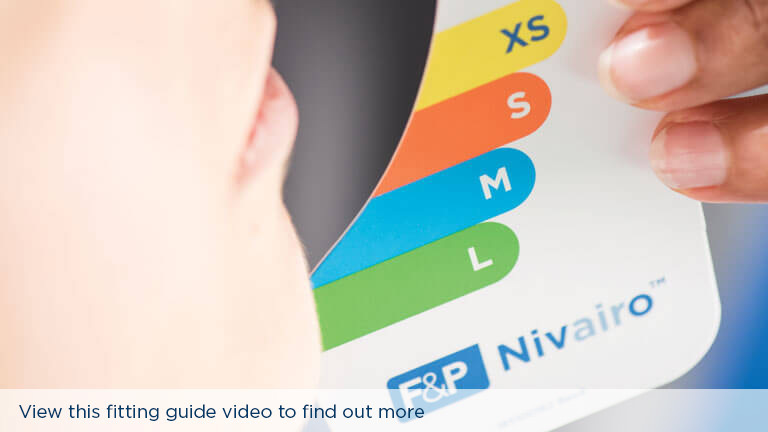 The SizeMe mask selector assists in selecting the optimum NIV mask size for a patient. 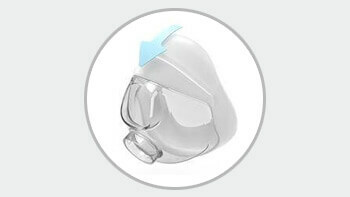 The Nivairo full face NIV mask comes in four sizes, including a new extra small size, which when combined with RollFit seals supports a wider range of face shapes. 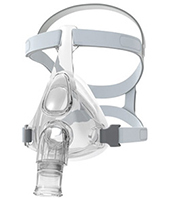 The RT045 non-vented hospital mask with clear elbow is suitable for single-limb circuits when used in combination with an exhalation port. 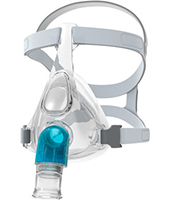 The RT046 non-vented hospital mask with blue elbow is suitable for dual-limb circuits. Want to know more or evaluate Nivairo? Fill in your details below and let us know how we can help.